Unlike other direct selling companies Arbonne have an extensive range of botanically based and vegan friendly skincare and cosmetics. They pride themself on combining the best of nature with leading science. Their principle being pure, safe and beneficial. The packaging of the products are clean and simple while still looking stylish. Their range is much larger than I initially thought. Including hair, baby, personal care and even nutrition products. Today I’ll be talking about a few products I was kindly sent to try. I find it hard to fall in love with a foundation. There’s often something that’s not right, especially if you are ordering online. Whether it’s the shade, coverage, formula, finish or even packaging one little thing can make it not right. Lucky for me the foundation shade I picked out was a good match. It applied smoothly and had great coverage. It was easy to blend and worked well when paired with the primer. The formula wasn’t too thick leaving my skin looking radiant not cakey. It’s a little bit more than I’d normally spend on a foundation but it did perform much like my high end foundations from Nars. I’ve only recently started to use face masks more often and have found them to be the perfect end to a long week. After cleansing my face using a flat brush I apply all over face and leave for around 15 minutes. To remove I use a damp face cloth and follow with a moisturiser. The first thing I noticed about this face mask was that it was clear. I’ve never used a clear mask before it was just a little harder to see when applying and removing. 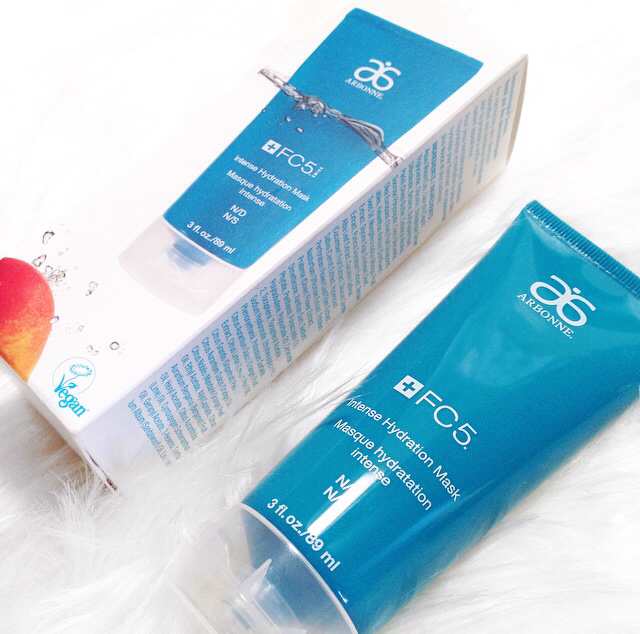 The formula was somewhat like a gel and had a slight tingle while setting but didn’t burn or irritate my skin. After removing it my face felt hydrated, smooth and plump. 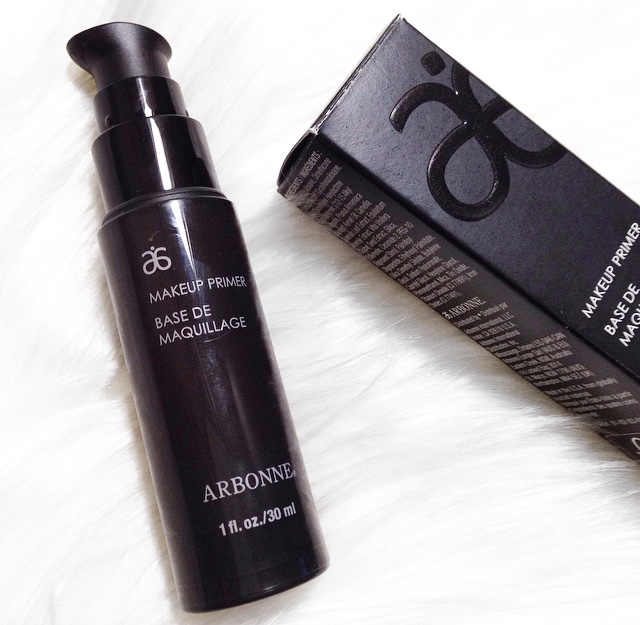 With a clear, smooth and lightweight finish this primer applied well to the skin. It had a velvety satin feel and very little product was needed to cover my face. 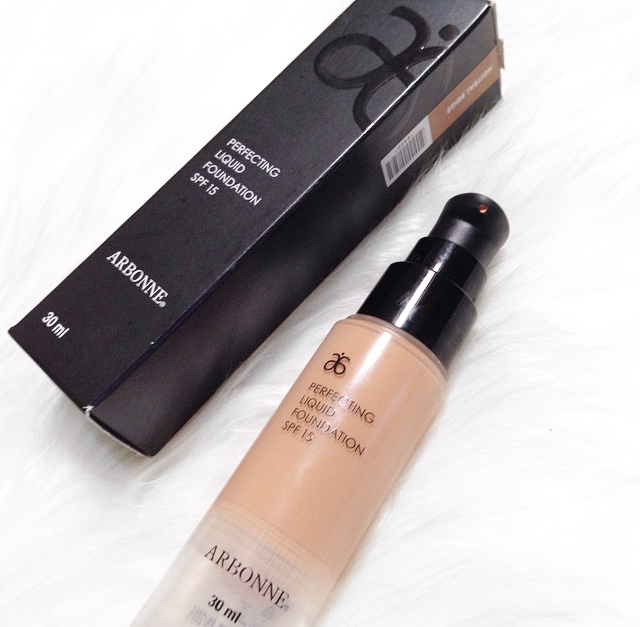 I was surprised at how well my makeup lasted when using with Arbonne’s foundation. Which made me realise that primers will work better when paired with a foundation from the same brand! I tend to use brow pomades and powders rather than pencils. Though pencils are great for touch ups and if your in a rush. This was a new release product from Arbonne so was keen to see how it applied. The fact that it had a spoolie on the end was a plus for me. Yep I’m one of those girls who brushes their eyebrows and not their hair! Though the formula was quite soft which I found hard to work with. I did like that it’s retractable and contains nourishing ingredients. I haven’t tried that many eye primers before and have a habit of forgetting to use them. Since I have purchased some new makeup geek eyeshadows recently I thought I should start taking more care by prepping my bases. 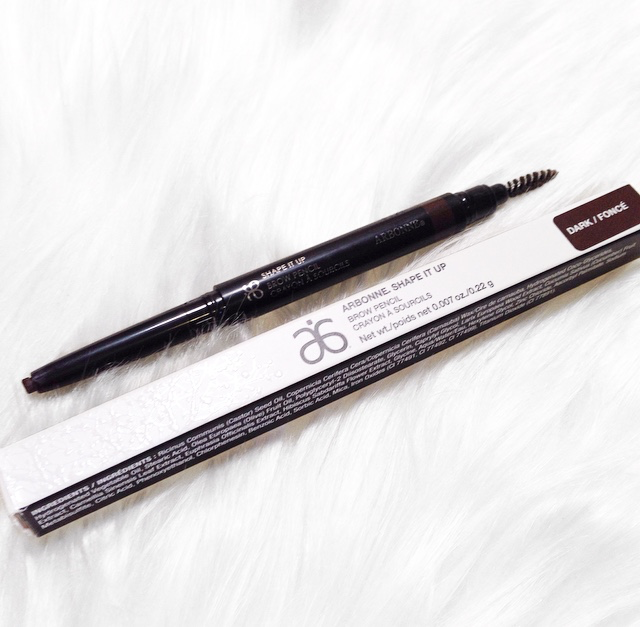 Though it may be the smallest of the Arbonne products it is one of my favourites. 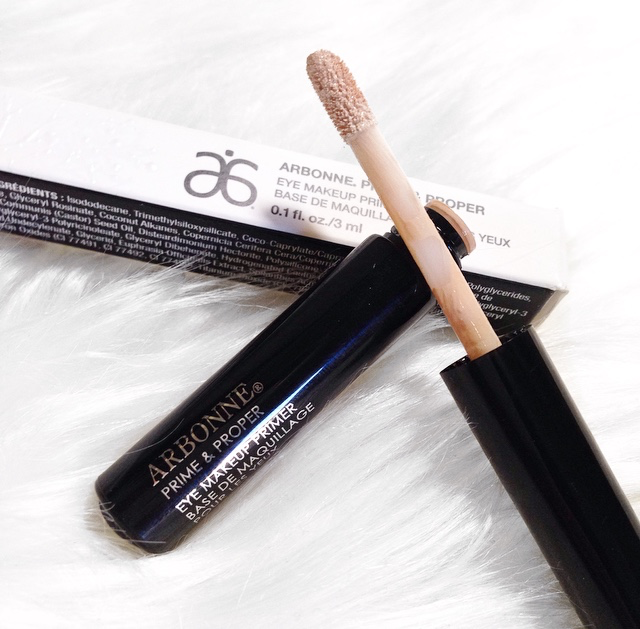 With just a few dots on my eyelids the smooth but slightly sticky formula worked wonders.It instantly brightened my lids and stopped my eyeshadow from creasing. I also like to apply this on my laugh lines before foundation to stop my makeup settling into them throughout the day. I always set my liquid foundations with a setting powder. I find it makes my makeup last longer and gives a good base to blend other powder products such as blush and bronzer. I especially like translucent powders as they brighten the face and are light on the skin. I have only ever tried loose setting powders so was interested to see if a pressed powder would measure up. I found the powder to be very smooth, fine and gave my skin a beautiful glow. It has a light green tinge to it which helps to conceal any redness. The mirrored compact was perfect for touch ups on the go. Though I’m not a fan of the powder puff it comes with, I much prefer applying with a soft face brush. You can really notice the difference in how fresh and matte your skin looks after using. This powder is definitly a new favourite of mine. 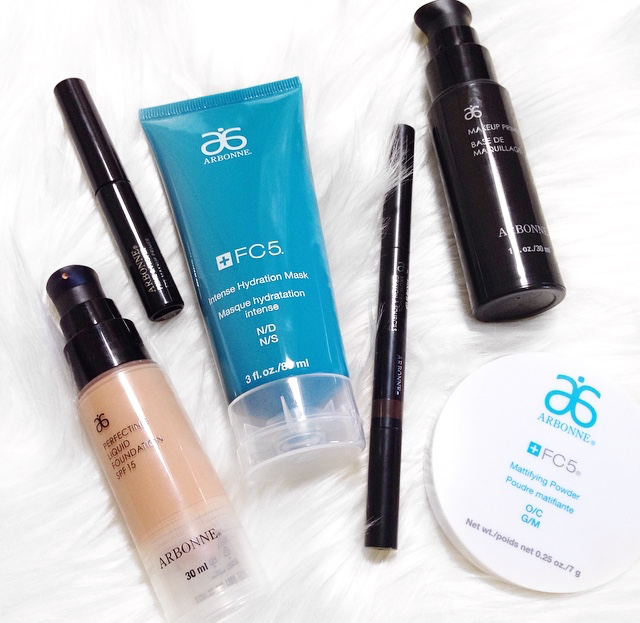 Overall I was pretty impressed with the quality and performance of all the Arbonne products I tried. I will be replying yes to the next Arbonne party I’m invited too! To view their current catalogue please click Here! Have you tried Arbonne before? What products do you like best?